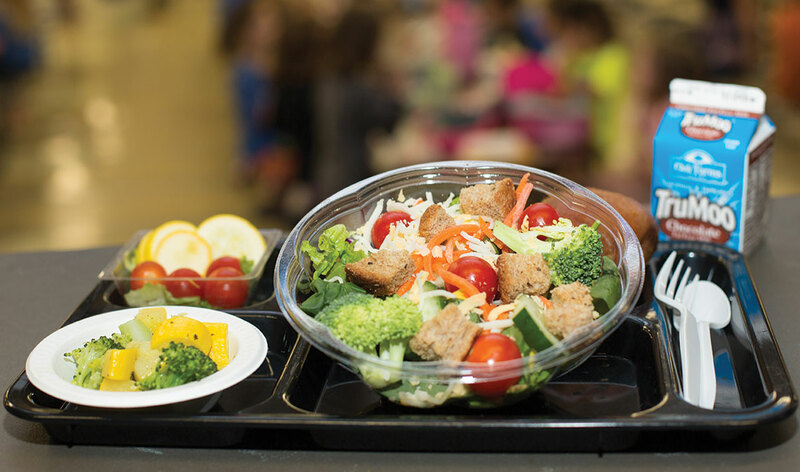 If the thought of school cafeteria food conjures memories of cooked-’til-they’re-slimy green beans, grease-soaked pizza and gravy-covered mystery meat, here’s some news to savor. Kids in Austin today are enjoying an entirely different school-lunch experience. Thanks to the strategic vision of Austin Independent School District (AISD) and the financial and moral support of nonprofit Whole Kids Foundation, lunch in the cafeteria is evolving to be more nutritious, more locally sourced and far more hip than what most of us remember. Here are some of the innovative ways the two organizations are working together to ensure Austin’s youngest generation has access to not only healthy food, but delicious food they’re excited about eating—and growing.